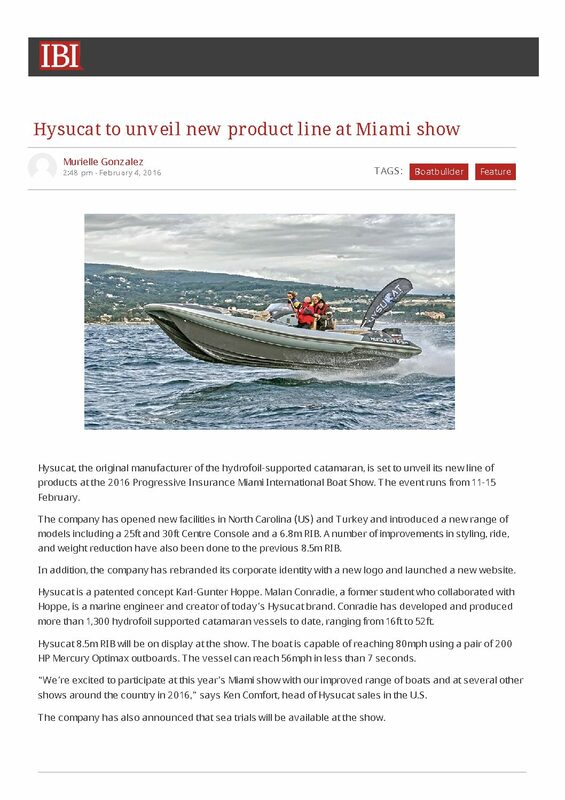 A new Hysucat 23 RIB hits the water at the yard in Bath, NC. 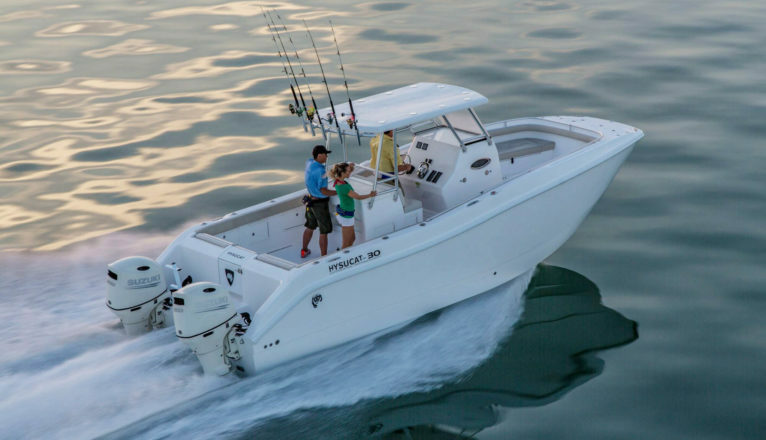 The 23 RIB was commissioned by Mike from Foiling RIB’s and made its debut at the Quantum Key West race. The photos demonstrate the high speed (with the spray still mid-air way behind the boat), the tight turning capabilities and little wake left behind.